CAROLINELEAVITTVILLE: Come see Alice Eve Cohen's play based on her breathtaking memoir, What I Thought I Knew. And if you can't get to see it, read all about it here! 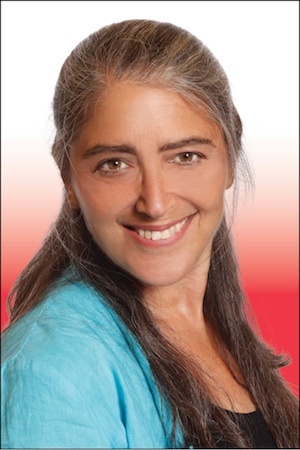 Come see Alice Eve Cohen's play based on her breathtaking memoir, What I Thought I Knew. And if you can't get to see it, read all about it here! 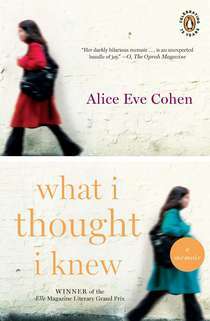 What I thought I Knew by Alice Eve Cohen is not only "Everything we love in a book--profound, honest, hilarious, humane, surprising" Anne Lamott, Salon.com BEST BOOKS OF 2009, but it's now a one woman show in NYC! I'm thrilled to be going to see it, and if you want tickets, scroll down to the bottom. I loved the book, and I'm honored to have Alice here to talk about moving from novels to plays. Thank you, Alice! What made you want to adapt your memoir for the theater? Had you ever done anything like this before? My memoir begins, “This was going to be a solo show. That’s what I do. ” I’ve written many plays and solo theatre pieces before. But at that time, the story was still so confusing and scary to me that I couldn’t talk about it, no less perform it in front of an audience! I needed to write the book in order to figure out what happened and make sense of it. Writing is such a private experience. Performing is very public. After sharing the story publicly as a memoir - which was a very joyful experience - and after getting such a positive response to the book, I was ready to turn it into a performance piece. Were you panicked or exhilarated or both? Creating the solo show has been exhilarating. Before I started writing the book I did feel panicked, really terrified about telling the story at all. Once I came out of the closet with my story, when the book was published, I remembered the profound pleasure of sharing a story with an audience. To a great degree, my new solo show is about the act of storytelling, and about the essential humanity of storytelling. What was the writing process like? What surprised you about it? I spent a year writing the script, adapting my memoir as a play. It was the first time I’d ever adapted a book for theatre, and what surprised me most was how much I had to cut! My first draft took over three hours to read aloud, so of course I had to go back to the drawing board! The show now runs 90 minutes. A script has to be much more spare than a book. The rich descriptive detail that’s essential for a book has to be reimagined without words in performance. Physical and vocal choices replace descriptions of characters and settings. A book communicates exclusively through words on a page, whereas a performance communicates a story through a variety of senses. What made you decide to do the performing yourself and what's that like? I’ve always loved performing! I’ve written and performed solo theatre for years, and it’s a joy. Solo performance allows you to play multiple characters, which is just ridiculously fun. I play forty characters in this show! There are serious scenes and comic scenes. I get to take the audience on a journey with me. As a solo performer, you have a very direct engagement with the audience, which is deeply gratifying. I teach solo theatre and playwriting at The New School; in the play, there are several scenes in which my students are discovering the stories they want to tell and how they want to perform those stories. It’s thrilling to bring all these stories to life on the stage. What was it like working with a director? My wonderful director, Elizabeth Margid, is a long-time collaborator. She’s directed two of my plays before this: a solo show called THIN WALLS, and a children’s play called HANNAH AND THE HOLLOW CHALLAH. Collaboration is one of the great joys of making theatre. Writing – whether a book or a script – is a solitary endeavor. We writers go into our writing caves for long stretches of time, and it can be, well, pretty lonely. Getting into a rehearsal space with a director is the reward for all that solitary script writing. I’ve had a chance over the past year to do some in-progress showings of the piece—at residencies at University of Michigan, the Virginia Center for Creative Arts, and the Voice and Vision Theatre’s Envision Retreat. Each time I show the piece to an audience and get feedback from my artistic collaborators, the piece grows and deepens. This summer I went into full-time rehearsal, which has been a deeply fulfilling experience. Q: How can you see a performance WHAT I THOUGHT I KNEW? Q:Will the show have future performances? A: Yes! The play will have a three-week mainstage production in June at beautiful Kitchen Theatre in Ithaca, NY – which has produced my plays in the past – and it will be presented by the Hudson Opera House in Hudson, NY and the RVCC Theatre in NJ. I hope to tour the show, and I’d also be thrilled to have other actors perform the play. This is really worth reading, it has too much details in it and yet it is so simple to understand, Thanks for sharing the picture it will help in verifying.